PLOT: A spectacular movie worthy of appraisals. Well done! I shamelessly admit that i watch this movie due to Cha Seung Won knowing his excellent acting ability. Now my praise goes to all the actor in this movie. A heart wrenching of 71 students whose inevitably dragged into war. From the very beginning of the movie till the end, the director really did an excellent job. The war scene was adrenaline and the sad part was so convincing. Kim Seung Woo was no doubt can carry his part well and charismatic. This is the first time i get to see TOP acting so i dont really know his acting range, but what i can say was, his acting in this movie was tip top! Kwon Sang Woo was really doing good job as well. And as per usual, not being biased, but Cha Seung won really can act. From Villain to Comedian... his acting range is really wide. He oozes overflowing charisma. This movie is so powerful, strong and amazing. The fact that this movie was based on a real story, I am speechless! This is what makes this movie so special and better. The acting was superb, I felt with them, I cried with them, I smiled with them and every emotion they where going trough. And really, that is a hard thing to accomplish in a movie. The music fitted every scene and was outstanding! It gave some scenes even more power than it already had. You'll cry and smile and at the end you will have some weird feelings in your stomach. This movie was amazing and I could definitely rewatch this anytime! I would recommend it to anybody who searches a amazing storyline, a powerful movie and outstanding acting! I don't really like war movies, usually I get sleepy and they seem quite boring to me. 71: Into the Fire was totally different from what I have seen before. Even without any knowledge of Korean history it is simple to watch (I mean there are no long discussions about politics, no fillers just the plot itself). All actors did their best too - there weren't any of "I don't believe in his play" moments. After I turned on this movie I even didn't noticed when it was already over. I will definitely rewatch it! And my advice for those who haven't seen it - if you like GOOD movies watch it. Story: For me it was the title that pulled me in. I had no idea about the actors that were in it. Just the title sounds good, 71 student soldiers fighting in a battle that they thought might not happen. They had even been told that the chances of them fighting were slim, that all they needed to do was to hold out for a few days until reinforcement arrived. Instead of that happening, they engaged the North Korean forces on several occasions, all with devastating results. I wish they had given us a little bit of background for some of the characters. The only flashbacks into the past is when the students are leaving and all the mothers are sending their children off. However, the fact that the director and producers were able to make me cry so hard and so much without any back story is amazing. They get you hooked on the characters by who they are and their relationships with each other. It is breathtaking the way they all stand together, fight with and side by side. There is so much growth in every single character that it breaks your heart when the real fighting begins. The entire time I watched this my hands were covering my mouth and I was holding my breath. I forgot to breathe several times and became dizzy. It is that intense. Music: Honestly, I didn’t pay much attention to the music. I was too busy crying and watching the action going on. 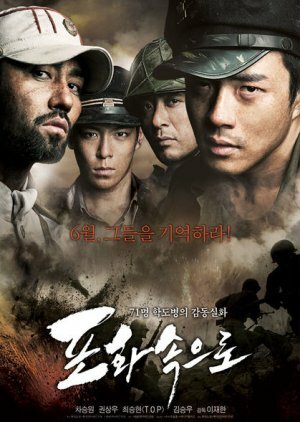 Cast/Acting: It’s no wonder that Choi Seung-hyun, T.O.P, won two awards for this movie. I haven’t seen acting this good since I watched 1 Litre of Tears. Their performances are so breathtaking and so heartfelt that it breaks your heart. Even the more minor characters. You can’t help but want to reach out and hold each and every one of them. Even the ones you hated at first. i'm a fan of war movies and i thought no other war movie can be as good as 'Band Of Brothers' i was compleatly wrong. this is a real masterpiece i'd watch it again anytime, the acting was great with the best camera shots and the music behind was wonderfull gave the right emotions. Now all that is left for me to do is buy it, because it is worth every penny. 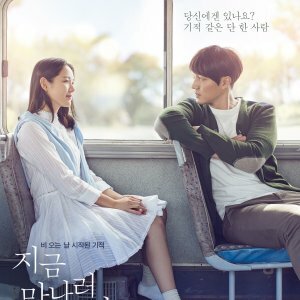 One of the many korean movies that I could watch on repeat. Whenever it's being played on TV, I cant seem to get my eyes off it. A movie which tells us a snippet of the history towards korea independence. It 's a movies about how 71 of these student soldier fought patriotically for their country. Despite facing with conflicts and not clueless on hoe to protect it, they lasted for almost 72 hours just to protect this base camp which means everything to their country. I like the interaction between Oh Jung Bum (T.O.P) and Ku Kap Jo (Kwon Sang Woo) as they fought together at that last part. If you're gonna watch this, do prepare a tissue box near you. A heartwarming movie which you would not want to miss. I must admit I had been skeptical at first, because watching something that is bound to be sad and heart-wrenching is not my forte. However, I was captivated throughout whole two hours that this movie lasted. It had everything that pulls you right into this type of cinematic experience; starting from a bunch of young boys, not men, but boys, who are pushed into a cruel war that is suddenly on their shoulders, without anyone to help them. From slaughterhouse to a silent pat on the shoulder when one is to man-up and get back on his feet. Main roles have done their jobs well enough, and portrayed their roles to the beat. Alas, give it a chance, I'm sure you'll find it very enjoyable. I was hesitant to watch this because I knew the ending is gonna kill me. War movies rarely end well. And since this was based on a true story, I did know how it was going to end. 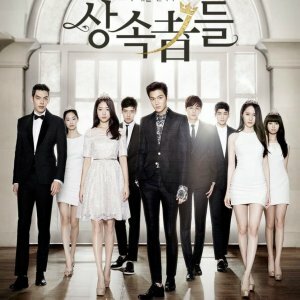 I watched it because I was trying to watch all of Choi Seung Hyun's (T.O.P.) movies. I love him. I've been a fan of him since he's in Bigbang, my favorite Kpop boy group. And after watching his movies, I love him even more. 71 Into The Fire is a story based on real life story of 71 student soldiers who fought for 11 hours defending the Pohang Dong girl's middle school while waiting for reinforcements. I'm not really a big fan of war movies. I cry at the simplest things and this movie is about students who were young and untrained and were expected to fight for their country. I admire their courage. I wouldn't know the first thing to do if I was in their place. Like I said, I'm a big fan of Choi Seung Hyun. I watched this movie mainly because of him. He was really good at his role as Oh Jeong Beom. He was saddled with the responsibility of leading the 71 students left behind. Kwon Sang Woo as Gu Kap Jo was pretty good too. He plays the role of the one who hates following rules. Cha Seung Won as the North Korean Commander Park Murang was good too. I thought all the actors were pretty great. They were able to capture my heart at least. There wasn't really any music. There were instrumental pieces. What few the movie had, fit the scene it was in. Am I gonna watch it again? Hell yes. This is one of my favorite movies by T.O.P. His acting was spot on. I just need to make sure I got tissues. ^_^. 10 out of 10. If you want to watch a good war movie, then this is the movie for you. Let me just start off with saying that I very rarely cry during a movie/drama... but this one had me in tears multiple times. "71 Into the Fire" is a dramatic, emotional and overwhelming movie. The movie revolves around 71 student soldiers who were placed to hold a strategic position during the Korean War. They never thought they would be faced with actual fighting, but they would be. They would be under-armed and under-trained when this occurs. Since the story is already outstanding, they just had to cast the right actors and they did. Choi Seung Hyun, or better known as T.O.P, did a fantastic job. His character would develop throughout the movie and you would always be rooting for him when he faced multiple obstacles. The rest of the cast was great too. Each soldier had their own stories and their own difficulties that were absolutely heartwrenching. I've actually watched this movie multiple times and it never loses its appeal to me. The fact that this is based on a true story makes the film even better and adds a depth to it that is hard to explain. If you're a fan of war movies, action, and true camaraderie, then this film is for you. PS: I'm serious, you'll cry. I loved this movie very moving. I thought that the story was rly well done considering it was based on a true piece of history. I also thought the acting was amazing, but TOP is my bias (totaly fangirl)! I am not sure I would be able to watch this again just b/c I love TOP & don't know if I can handle (slight spoiler) watching him die more than once. Other than that I thought it was rly good. The characters r well built (considering the time frame) and even though not much is said b/t ppl there is a silent understanding b/t the characters that was not hard to understand. It was all very interesting and I enjoyed it even though I wanted to cry. OK, I rly didn't want to cry, but it made my heart hurt a little. 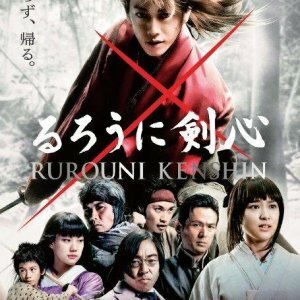 Good movie, great actors, and a lot of war. I recomend it to others just b/c of the historical value and maybe it would make ppl think twice about what they r rly doing b-4 they decide to go to war. --- I liked it, but I can't say that I like it a lot. Yes, the characters had element and, I mean you can't deny, these are veteran actors. Who would think they wouldn't do well??? ...it felt kind of shallow. The story was deep but I think the acting was not AS deep. In some ways it felt like it lacked something more. Yes you'll enjoy it, but I guess I didn't get what I was expecting. Some characters felt like they didn't fit the shoes they were filling in. It very much felt like watching "SAVING PRIVATE RYAN". The good thing about SVP is that I thought that every character was custom fitted for the actors playing their part. -- which is were In To The Fire kind of lacked in..maybe a character or two gave me that feeling. You're kind of left asking, "how did we get there again?" That's where the emotions came rushing down..
For me the movie is something you should definitely watch.. Imagine all those people who died, that I understood more that I can handle.